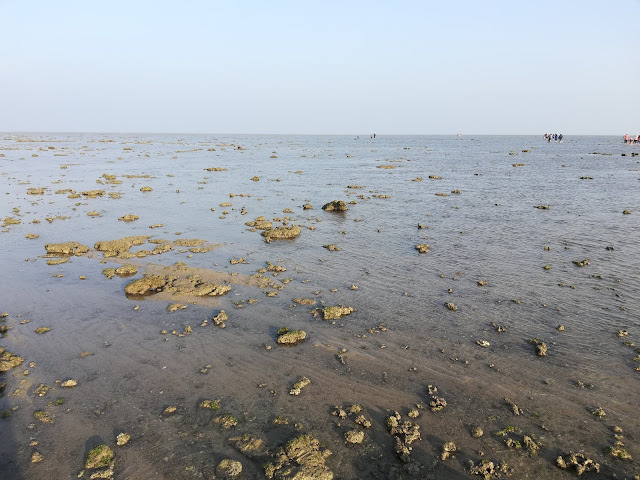 Overview: Started the day early with a visit to the Narara Marine Park near Jamnagar. We didn't have much info about this place, but still headed out hoping for some surprises. We reached the place at around 7:30am, but the ticket counter didn't open until 8:15am. We took the tickets and there were some guides also to be hired for Rs 300. We decided to explore the place on our own. We followed the path which other people were taking through some bushes and mangroves. Once the horizon expanded, we could see vast area of the Gulf of Kutch, with shallow waters and migratory birds flocking the waters. We walked for a km into the shallow waters, we could spot some corals, sea urchins and starfish. We turned back after spending an hour into the waters. This place is good to explore if we have plenty of time on hand. From Narara we proceeded to Naganath Jyotirlinga temple, which is a part of the 12 Jyotirlingas in India. The temple is a renovated structure and was not very crowded. After the darshan, we had Gujarati thali outside the temple. 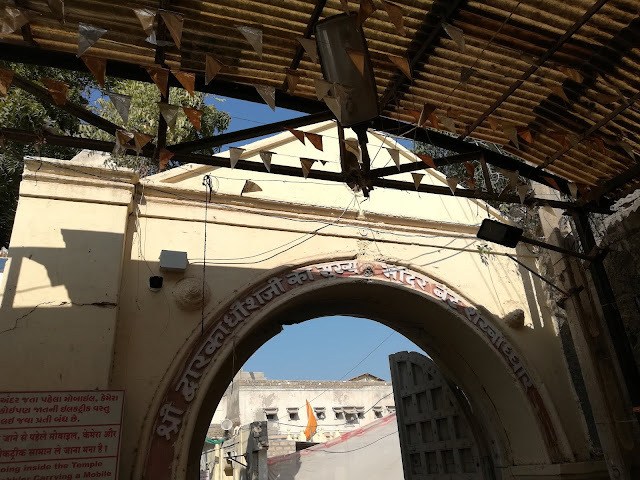 From here, we went to Bet Dwarka, believed to be the main place of Lord Krishna's Dwarka. Several ancient remains have also been found on the seabed near Bet Dwarka. To reach here, one needs to park the vehicle at Okha, and take a ferry to reach Bet Dwarka. The ferry costs Rs 20 per head and starts only when it is completely loaded with people. We reached Bet Dwarka after 20 mins of cruise, but to our disappointment, the temple was closed and was supposed to open again at 4pm. As it was still 1:30pm, we decided to pray to Lord Krishna from the outside and head towards the Dwarkadhish temple in Dwarka. We reached Dwarka at around 3:30pm and explored the newly built Sudama bridge and 5 tirthas while waiting for the temple to open. Mobile phones and Cameras are not allowed inside the main temple, so we left our stuff in the car and went inside the temple. The crowd was well managed and there was no chaos inside the temple. The Dwarkadhish temple is a majestic structure, which is almost built like a palace. 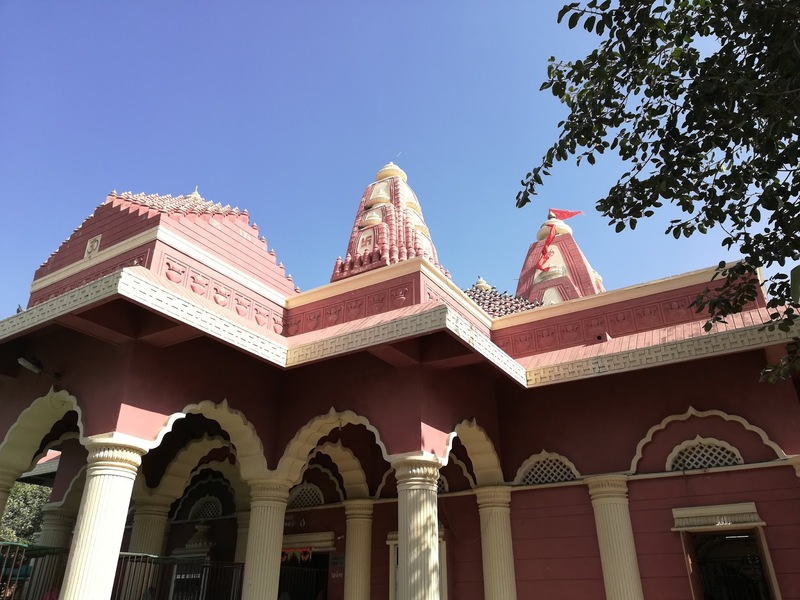 In this temple, Lord Krishna is worshipped as the King of Dwarka. The current structure is built in an elaborate Chalukya style and dates back to the 15th century. This complex houses other shrines as well apart from the main Dwarkadhish. It normally takes around 1 hour to completely explore and admire the beauty of the temple. Outside the temple are the souveneir shops and restaurants. Dwarka town is believed to have submerged and rebuilt again several times in the last 5000 years. After closing the day on a happy note, we checked into our hotel in Dwarka. Gujarat is such lovely state. Wish to explore it soon. Please do visit.. Will be happy to revisit Gujarat through your blogs..